The psychological impact of the economic crisis on the Greek population, is the topic of a special lecture which will be presented by Professor Nikos Stefanis and Rika Z. Vagianni, on Thursday, 26 November 2015, at the University of Melbourne. Professor Christos Pantelis and Prof Dennis Velakoulis from the Melbourne Neuropsychiatry Centre, Department of Psychiatry, are hosting a special lecture and launch of the first Greek-Australian Fellowship. This collaboration between The University of Melbourne, Melbourne Health and the National and Kapodistrian University of Athens, has received initial support from Servier Laboratories. Also will be launched the Greek Australian Psychiatric Association. These initiatives resulted following meetings organized by Professor Nikos Stefanis and Professor Constantin Soldatos as part of the international Congress of the World Federation of Societies of Biological Psychiatry, held in Athens, June 2015. 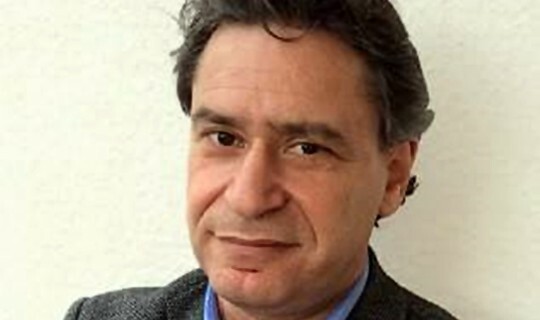 Nikos C. Stefanis MD, FRANZCP, is Professor of Psychiatry at the National and KapodistrianÂ University of Athens Medical School in Greece and Former Prof. of Psychiatry at the School of Psychiatry and Clinical Neurosciences, The Uni- versity of Western Australia (2011- 2013). He is a senior researcher at the University Mental Health Research Institute in Greece and head of the National Referral Center for Psychosis Disorders at Eginition University teaching Hospital in Athens. He trained in Psychiatry at the Maudsley Hospital / Institute of Psychiatry in London and in Cognitive Behavior Therapy at Oxford University. His main academic interests have gravitated towards better understanding of the complex interplay between genetic and environmental risk factors that shape the vulnerability for major psychiatric disorders. Rika Z. Vayianni is a journalist, currently residing and working in Athens, Greece. Her professional background spans three decades in the Greek Media (printed press, radio, television and Web publishing). Since 1994 she has been working as an editor/columnist for major Greek newspa- pers. Along with her team of associates, she was awarded the Eco-City Prize for Best Television program for Environmental Awareness, a prize sponsored by the EU (2009). In 2008 she was ap- pointed by the Office of the European Parliament as “the face of Greek voter” in the campaign for election awareness across the EU. In 2010, Rika followed her family and relocated to Perth, WA Australia, before returning back to Greece in 2012. At the recent general elections in September 2015, Rika was a candidate for a seat in the Greek parliament. She has published two children’s books. Her latest, “It’ so boring to be bored”Â (Potamos, 2014) is published in two versions, Greek and English. She is currently a contributing editor at “Greece is” an English-language periodical, distributed exclusively by the Acropolis Museum in Athens and also through selected cultural venues in the rest of the country. When: Thursday, 26th November 2015 at 6 -7pm.